In the early hours of Saturday morning Dan, Nathan, Jim, and Matt set off on their bikes to cycle to Stratford. 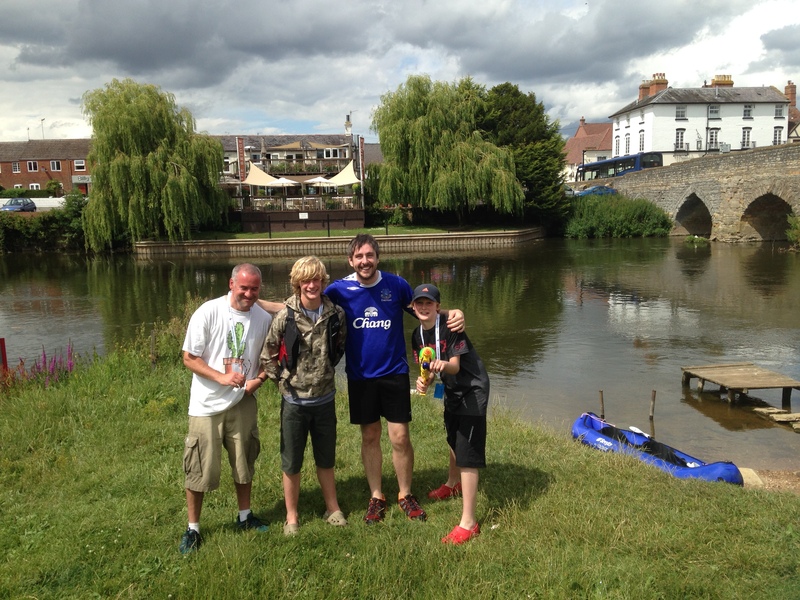 Once they got to Stratford they then canoed all the way back to Harvington! This picture shows the halfwayish mark when they got to Bidford and had some lunch! Looking soggy halfway through their Cycanoe! A BIG thanks to all who helped, especially to the Cracknells who coordinated much of this event. The boys raised over £200 to go towards the work of Harvington Youth Project!